I realized afterwards that the yellow strip was a bit too low but you still get the idea! I used Magnolia's Tilda w/ Sunflower image because I had her already coloured and just ran out of time this week. The flower is one I picked up from Michaels and is by Recollections. I also added some pearls that I coloured with my copics to match. Our sponsor for the month of October is Inky Impressions! I coloured her with copics and paired her with some Bo Bunny Paper scraps I had in my scrap bin. I typed up the sentiment/saying on my computer. Bookmarks make a great gift for the book lover on your Christmas list. Be sure to check out the Paper Sundaes Blog to see all the fabulous bookmarks by the other Sundae Girls if you need some inspiration! The Trick or Treat sentiment is actually some fabric tape by Cloud 9 Design & I cut the words out individually and applied. I also used the Black/Orange Ribbon which I got last Halloween and the ribbon slider with the bat on it (by Making Memories) I've had since I started by blog ages ago now. 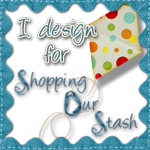 I was even able to use up some scrap DP from a paper pad by Cloud 9 Design also. Hope to see you using your stash & playing along with us this week over at SOS! Paper Sundaes Sundae Bar is NOW OPEN!! I love it when we have the Sundae Bar Challenges over at Paper Sundaes because you can pick a few of your favourite toppings from the options listed and have fun! For this weeks Challenge the Sundae toppings for you to choose from are: Black, Distressing, Flowers & Sparkle. I managed to use black, sparkle & a bit of distressing on the outer edges of the card. I made this card for a friend of mine who is Twilight OBSESSED! I also used some sparkly black paper for the background and paired all this up with paper from my Bella Armoire Stack of paper from DCWV. I added a couple of sparkly black brads to complete. 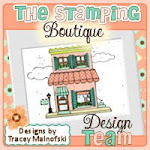 We are being sponsored this week by Stamp & Create and they have a gift certificate up for grabs to one lucky participant! SOS Challenge #22 - A Photo to Inspire You!! I coloured the image with copics and my son helped me pick out colours for my card. Don't you just love his pink teeth? Can't wait to see what inspires you this week. Look forward to seeing you over at SOS. I coloured the image with copics and then paired it with these papers from Kaisercrafts "Sublime" Collection. I added some black pearls to the corner to complete it. I hope you will play along with us this week. We are being sponsored by Inky Impressions all month but you have to play along if you want to win an image from their store. I used this digital image by Tickled Pink Stamps called Lil Haunts Witch Lylah. I coloured the image with copics and then used Tim Holtz Ink to distress around the edges. The paper was from my scrap pile and the orange strip in the background was stamped with the spiderweb stamp in the set "All Hallow's Eve" by Inkadinkadoo. I don't have alot of Halloween images or stamps but hope to get more as these cards are so much fun to make. Hope to see your Halloween or Fall Creations over at Paper Sundaes this week! The bat paper is from my Cloud 9 Design paper pack and the black/orange polka dot ribbon was some that I picked up from Michael's last Halloween. 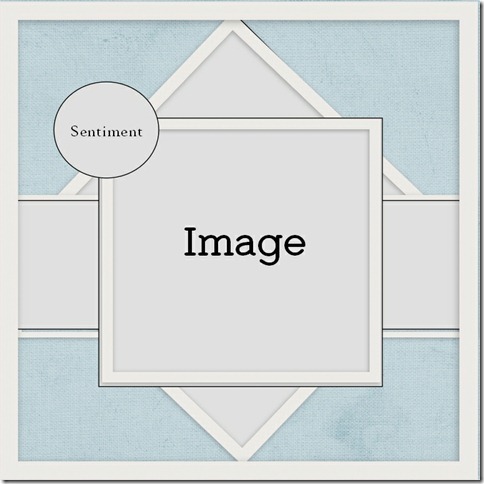 Even the chipboard photo frame by Creative Imaginations has been in my stock pile for quite some time. Feels so good to use up the stash!!! I have to admit however that the "Trick or Treat" stamp is from an Inkadinkadoo "All Hallow's Eve" set that I got recently with a Michaels gift card I won on a blog hop. There are some great stamps in this set so hopefully I will get motivated to use them in more Halloween creations this month. 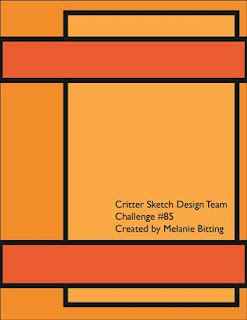 Can't wait to see your spooky or black/orange creations for our challenge this week and if you need any inspiration be sure to check out the other SOS girls creations as they are amazing! I coloured this fabulous image by Sugar Nellie called "Fairy Tale" that a wonderful friend picked up for me the last time he went home to Scotland. Isn't she beautiful? All paper I used was from my favourite paper manufacturer Bo Bunny. I cut the image out with my circle spellbinder dies and mounted on a scallop circle. I added some liquid applique to the scallops for a bit of dimension. I was also finally able to use my new MFT dies "Pretty Posies" for my flower & I added a pearl centre. Our sponsor for this week's challenge is Letraset home to the fabulous Promarkers! Be sure to play along for your chance to win a fabulous prize! First Annual Link Up for Pink - Something pink to promote breast cancer awareness!! I can't wait to see your Thank you or Thanksgiving creations this week! 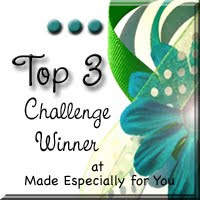 Be sure to enter our challenge over at SOS Challenge Blog! I used up a bunch of my scraps on this card which I always try to do before I cut into a new piece. I added some flowers and some suede ribbon to complete it. 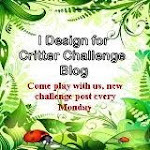 I hope you'll play along with us this week and be sure to check out the Critter Sketch Blog to see our new DT member's creations. Great inspiration for you this week. Inky Impressions is our sponsor this month so play along for your chance to win a great prize! 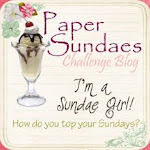 It's time for Paper Sundaes Challenge #89 and this week we want to see SOME LAYERS!! We have a wonderful sponsor this week Lili of the Valley so play along for your chance to win a fabulous prize! For my card I used the Lili of the Valley Christmas Teddy Image "Big Star". I have quite a few layers of paper on my card! 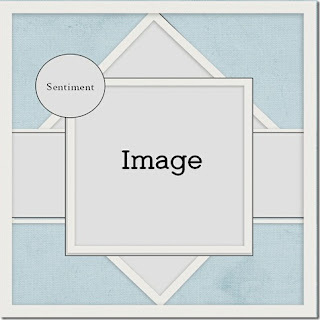 This fab DP is from my Basic Grey Jovial paper pad. 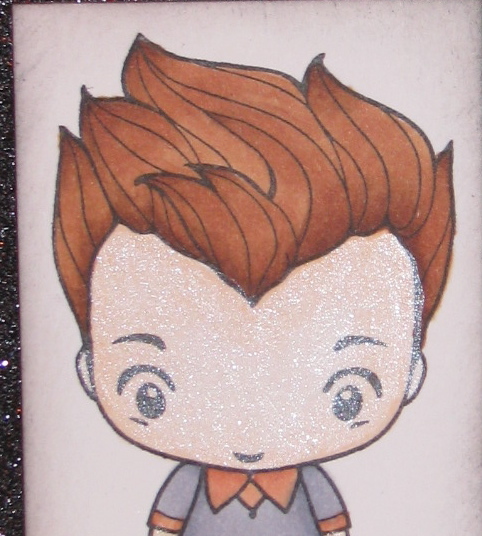 I inked the edges with Tim Holtz distress ink and the main image was coloured with copic markers. I added some glitter to the big star this little cutie is holding and some pointsettias with pearl centers. Last but not least to add some texture I used my snow marker on his little Santa hat!